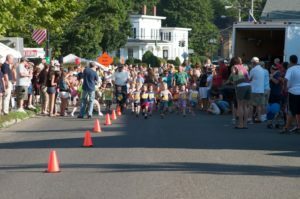 The 51st Annual Village Fair Days is coming to New Milford July 27 and 28, bringing live entertainment, Bingo, bouncy houses, a food court, the Kids Fun Run, a car show, and more than 100 vendor and community booths to the town Green. The popular festival draws thousands of visitors for the shopping, dining and socializing. It’s sponsored by the Greater New Milford Chamber of Commerce, whose board includes Cramer & Anderson Attorney Abigail Miranda. 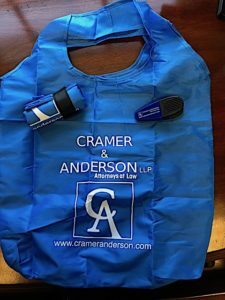 Cramer & Anderson will set up its Village Fair Days tent across from the Green, outside the firm’s flagship office at 51 Main St., and visitors are welcome to stop by from 9 a.m. to 5 p.m. on Friday and 9 a.m. to noon on Saturday. 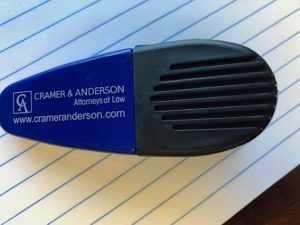 This year we’ll be giving away eco-friendly, all-purpose tote bags and magnetic clips—as well as giving visitors an opportunity to get acquainted with our full service law firm with a team of more than 25 attorneys serving clients across Connecticut from six strategically positioned offices in western Connecticut. For more on Village Fair Days, visit the Chamber’s website. Cramer & Anderson also has offices in Litchfield, Danbury, Washington Depot, Kent, and Ridgefield. For more information, call the New Milford office at 860-355-2631 or see the website at crameranderson.com.